The revolutionary movement in various European and Asian countries has latterly made itself felt so weightily that we see before us the fairly clear outlines of a new and incomparably higher stage in the international proletarian struggle. There has been a counter-revolution in Persia—a peculiar combination of the dissolution of Russia’s First Duma, and of the Russian insurrection at the close of 1905. Shame fully defeated by the Japanese, the armies of the Russian tsar are taking their revenge by zealously serving the counter-revolution. The exploits of the Cossacks in mass shootings, punitive expeditions, manhandling and pillage in Russia are followed by their exploits in suppressing the revolution in Persia. That Nicholas Romanov, heading the Black-Hundred landlords and capitalists scared by strikes and civil war, should be venting his fury on the Persian revolutionaries, is understandable. It is not the first time that Russia’s Christian soldiers are cast in the role of international hangmen. That Britain is pharisaically washing her hands of the affair, and maintaining a demonstratively friendly neutrality towards the Persian reactionaries and supporters of absolutism, is a somewhat different matter. The British Liberal bourgeoisie, angered by the growth of the labour movement at home and frightened by the mounting revolutionary struggle in India, are more and more frequently, frankly and sharply demonstrating what brutes the highly “civilised” European “politicians”, men who have passed through the high school of constitutionalism, can turn into when it comes to a rise in the mass struggle against capital and the capitalist colonial system, i. e., a system of enslavement, plunder and violence. The position of the Persian revolutionaries is a difficult one; theirs is a country which the masters of India on the one hand, and the counter revolutionary Russian Government on the other, were on the point of dividing up between themselves. But the dogged struggle in Tabriz and the repeated swing of the fortunes of war to the revolutionaries who, it seemed, had been utterly defeated, are evidence that the Shah’s bashi-bazouks, even though aided by Russian Lyakhovs and British diplomats, are encountering the most vigorous resistance from the people. A revolutionary movement that can offer armed resistance to attempts at restoration, that compels the attempters to call in foreign aid—such a movement cannot be destroyed. In these circumstances, even the fullest triumph of Persian reaction would merely be the prelude to fresh popular rebellion. In Turkey, the revolutionary movement in the army, led by the Young Turks, has achieved victory. True, it is only half a victory, or even less, since Turkey’s Nicholas II has so far managed to get away with a promise to restore the celebrated Turkish constitution. But in a revolution such half-victories, such forced and hasty concessions by the old regime, are the surest guarantee of new and much more decisive, more acute fluctuations of the civil war, involving broader masses of the people. And the school of civil war is never lost upon nations. It is a hard school, and its complete course necessarily includes victories for the counter-revolution, the unbridled licence of the infuriated reactionaries, the savage reprisals of the old government against the rebels, etc. But only incurable pedants and doddering mummies can moan over the fact that the nations have entered this very painful school. For it is one that teaches the oppressed classes how to wage civil war and how to carry the revolution to victory. It concentrates in the masses of contemporary slaves the hatred which downtrodden, benighted and ignorant slaves have always carried within them, and which leads to the supreme history-making feats of slaves who have realised the shame of their slavery. In India lately, the native slaves of the “civilised” British capitalists have been a source of worry to their “masters”. There Is no end to the acts of violence and plunder which goes under the name of the British system of government in India. Nowhere in the world—with the exception, of course of Russia—will you find such abject mass poverty, such chronic starvation among the people. The most Liberal and Radical personalities of free Britain, men like John Morley—that authority for Russian and non-Russian Cadets, that luminary of “progressive” journalism (in reality, a lackey of capitalism)—become regular Genghis Khans when appointed to govern India, and are capable of sanctioning every means of “pacifying” the population in their charge, even to the extent of flogging political protestors! Justice, the little weekly of the British Social-Democrats, has been banned in India by these Liberal and “Radical” scoundrels like Morley. And when Keir Hardie, the British M. P. and leader of the Independent Labour Party, had.the. temerity to visit India and speak to the Indians about the most elementary democratic demands, the whole British bourgeois press raised a howl against this “rebel”. .And now the most influential British newspapers are in a fury about. “agitators” who disturb the tranquillity of India, and are welcoming court sentences and administrative measures in the purely Russian, Plehve style to suppress democratic Indian publicists. But in India the street is beginning to stand up for its writers arid political leaders. The infamous sentence pronounced by the British jackals on the Indian democrat Tilak—he was sentenced to a long term of exile, the question in the British House of Commons the other day revealing that the Indian jurors had declared for acquittal and that the verdict had been passed by the vote of the British jurors!—this revenge against a democrat by the lackeys of the money-bag evoked street demonstrations and a strike in Bombay. In India, too, the proletariat has already developed to conscious political mass struggle—and, that being the case, the Russian-style British regime in India is doomed! By their colonial plunder of Asian countries, the Europeans have succeeded in so steeling one of them, Japan, that she has gained great military victories, which have ensured her independent .national development. There can be no doubt that the age-old plunder of India by the British, and the contemporary struggle of all these “advanced” Europeans against Persian and Indian democracy, will steel millions, tens of millions of proletarians in Asia to wage a struggle against their oppressors which will be just as victorious as that of the Japanese. The class-conscious European worker now has comrades in Asia, and their number will grow by leaps and bounds. In China, too, the revolutionary movement against the medieval order has made itself felt with particular force in recent months. True, nothing definite can yet be said about the present movement’—there is such scanty information about it and such a spate of reports about revolts in various I)arts of the country. But there can be no doubt about the vigorous growth of the “new spirit” and the “European currents” that are stirring in China, especially since the Russo-Japanese war; and consequently, the old-style Chinese revolts will inevitably develop into a conscious democratic movement. That some of the participants in colonial plunder are this time greatly concerned is borne out. by the way the French are acting in Indo-China: they helped the “historic authorities” in China to put down the revolutionaries! They feared equally for the safety of their “own˜˜ Asian possessions bordering on China. The French bourgeoisie, however, are concerned not only over their Asian possessions. The barricades at Villeneuve-Saint-Georges, near Paris, the shooting down of the strikers who built these barricades (on Thursday, July 30)—these events are renewed evidence of the sharpening of the class struggle in Europe. Clemenceau, the Radical, who governs France on behalf of the capitalists, is working with uncommon zeal to shatter the last lingering remnants of republican-bourgeois illusions among the proletariat. The shooting down of the workers by troops acting on the orders of a. “Radical” government has, under Clemenceau, become almost more frequent than before.. The French socialists have already, dubbed. Clemenceau “The Red” for this; and now, when his agents, gendarmes and generals have again shed the blood of the workers, the socialists recall the catch- phrase once uttered by this ultra-progressive bourgeois republican to a workers’ delegation: “You and I are on different sides of the barricade.” Yes, the French proletariat and the most extreme bourgeois republicans have finally taken their place on opposite sides of the barricade. The French working class shed much blood to win and defend the republic, and now, on the basis of the fully established republican order, the decisive struggle between the propertied class and the working people is rapidly coming to a head. “It was not simply brutality,” L’Humanité wrote of the July 30 events, “it was part of a battle.” The generals and the police were bent on provoking the workers and turning a peaceful unarmed demonstration into a massacre. But the troops that surrounded and attacked the unarmed strikers and demonstrators met with resistance, their action leading to the immediate erection of barricades, and to events which are agitating the whole of France. These barricades, L’Humanité says, were built of boards and were ludicrously ineffectual. But that is not important. What is important is that the Third Republic had eliminated the old habit of barricades; whereas now “Clemenceau is reviving that habit"—and he is just as candid about the matter as were “the butchers of June 1848, and Galliffet in 1871", on the subject of civil war. And the socialist press is not alone in recalling these great historic dates in connection with the events of July 30. The bourgeois press is furiously attacking the workers, accusing them of behaving as if they intended to start a socialist revolution. One paper cites a minor but characteristic incident indicative of the mood of both sides at the scene of action. When the workers were carrying a wounded comrade past General Virvaire, who directed the operations against the strikers, there were shouts from the demonstrators: “Saluez!" And the general of the bourgeois republic saluted his wounded enemy. The sharpening of the struggle between the proletariat and the bourgeoisie is to be observed in all the advanced capitalist countries. The tendency is the same everywhere, though it manifests itself differently in accordance with the difference in historical conditions, political systems and forms of the labour movement. In America and Britain, where complete political liberty exists and where the proletariat has no revolutionary and socialist traditions that could be called living traditions, this sharpening of the struggle is expressed in the mounting movement against the trusts, in the extraordinary growth of socialism and the increasing attention it is getting from the propertied classes, and in workers’ organisations, in some cases purely economic ones, that are beginning to enter upon systematic and independent proletarian political struggle. In Austria and Germany, and partly also in the Scandinavian countries, this sharpening of the class struggle shows itself in election campaigns, in party relationships, .in the closer alignment of the bourgeoisie of all sorts and shades against their common enemy, the proletariat, and in the hardening of judicial and police persecution. Slowly but surely, the two opposing camps are building up their strength, consolidating their organisations, drawing apart with increasing sharpness in every sphere of public life, as if preparing, silently and intently, for the impending revolutionary battles. In the Latin countries, Italy and particularly France, the sharpening of the class struggle is expressed in especially stormy, violent, and occasionally forthright revolutionary outbreaks, when the pent-up hatred of the proletariat for its oppressors bursts out with unexpected force, and the “peaceful” atmosphere of parliamentary struggle gives way to episodes of real civil war. The international revolutionary movement of the proletariat does not and cannot develop evenly and in identical forms in different countries. The full and all-round utilisation of every opportunity in every field of activity comes only as the result of the class struggle of the workers in the various countries. Every country contributes its own valuable and specific features to the common stream; but in each particular country the movement suffers from its own one-sidedness, its own theoretical and practical shortcomings of the individual socialist parties. On the whole we clearly see a tremendous step forward of international socialism, the rallying of million-strong armies of the proletariat in the course of a series of practical clashes with the enemy, and the approach of a decisive struggle with the bourgeoisie—a struggle for which the working class is far better prepared than in the days of the Commune, that last great proletarian insurrection. 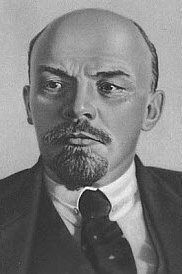 And this step forward of the whole of international socialism, along with the sharpening of the revolutionary democratic struggle in Asia, places the Russian revolution in a special and especially difficult position. The Russian revolution has a great international ally both in Europe and in Asia, but, at the same time, and for that very reason, it has not only a national, not only a Russian, but also an international enemy. Reaction against the mounting proletarian struggle is inevitable in all capitalist countries, and it is uniting the bourgeois governments of the whole world against every popular movement, against every revolution both in Asia and, particularly, in Europe. The opportunists in our Party, like the majority -of the Russian liberal intelligentsia, are still dreaming of a bourgeois revolution in Russia that will “not alienate” or scare away the bourgeoisie, that will not. engender “excessive” reaction, or lead to the seizure of power by the revolutionary classes. Vain hopes! A philistine utopia! The amount of inflammable material in all the advanced countries of the world is increasing so speedily, and the conflagration is so clearly spreading to most Asian countries which only yesterday. were in a state of deep slumber, that the intensification of international bourgeois reaction and the aggravation of every single national revolution are absolutely inevitable. The historical tasks of our revolution are not being performed by the forces of counter-revolution, and cannot be. The Russian bourgeoisie are necessarily gravitating more and more towards the international anti-proletarian and antidemocratic trend. It is not on liberal allies that the Russian proletariat should count. It must . follow its own independent path to the complete victory of the revolution, basing itself on the need for a forcible solution of the agrarian question in Russia by the peasant masses themselves, helping them to overthrow the rule of the Black- Hundred landlords and the Black-Hundred autocracy, setting itself the task of establishing a. democratic dictator ship of the proletariat and the peasantry in Russia, and remembering that its struggle and its victories are inseparable from the international revolutionary movement. Less illusions about the liberalism of the counter-revolutionary bourgeoisie (counter-revolutionary both in Russia and the world over). More attention to the growth of the international revolutionary proletariat!